William Byrd has never built a piano, so it’s highly unlikely you’ll find his name hand carved on your baby grand. 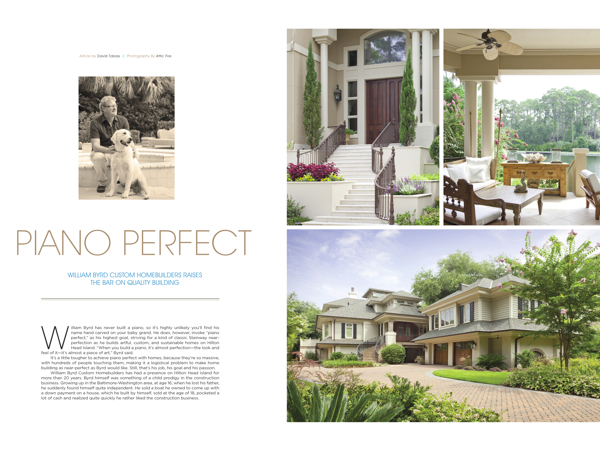 He does, however, invoke “piano perfect,” as his highest goal, striving for a kind of classic Steinway near-perfection as he builds artful, custom, and sustainable homes on Hilton Head Island. “When you build a piano, it’s almost perfection—the look and feel of it—it’s almost a piece of art,” Byrd said. It’s a little tougher to achieve piano perfect with homes, because they’re so massive, with hundreds of people touching them, making it a logistical problem to make home building as near-perfect as Byrd would like. Still, that’s his job, his goal and his passion. 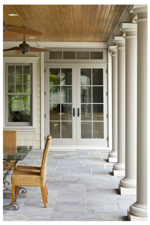 William Byrd Custom Homebuilders has had a presence on Hilton Head Island for more than 20 years. Byrd himself was something of a child prodigy in the construction business. Growing up in the Baltimore-Washington area, at age 16, when he lost his father, he suddenly found himself quite independent. He sold a boat he owned to come up with a down payment on a house, which he built by himself, sold at the age of 18, pocketed a lot of cash and realized quite quickly he rather liked the construction business. He got into commercial construction then spent some time in land development before realizing he was helping to create an untenable place to live in the Baltimore-Washington metro area. A four-hour commute on the Beltway was not his idea of living the good life. Byrd had visited Hilton Head Island a time or two on vacation and decided in the late 1980s to sell his business in Baltimore, relocate permanently and start a construction company here. Although those days of building 20-25 custom homes a year are long gone, Byrd is bullish on Hilton Head Island, despite a current economy that seems stagnant at best. Byrd himself and his company have had to change to accommodate a new home construction environment that has changed dramatically. He has steered his specialty to the high-end custom end of the spectrum, which he says has been less affected by tight money. Even talking with inspectors, virtually nothing is being built but big homes. 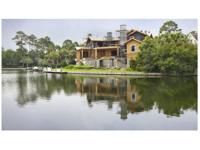 William Byrd Custom Homebuilders currently has two oceanfront homes under construction and several others, including a remarkable green building project that is perfectly suited to Byrd’s love of creative challenge. This house in Wexford will be about 12,000 square feet—and very green—certifiably green, even without LEED-type certifications. Byrd says the homeowners believe there’s no need for that, because this house is going to be way beyond certified green—the kind of green that uses old fallen-down wormy chestnut barns the way they were in the old days: taking what’s still good and re-using it. This project is even repurposing old, rough-sawn walnut, chestnut and sunken cypress. Chestnut, like cypress, lasts nearly forever. Byrd says you just need to find it, then find a place and a purpose for these raw materials. This house is going to have plenty of purpose. It won’t be cheap (money, in this instance, is not really a consideration), but it will be a landmark, an icon and a testament to doing things right, with brilliant detail and innovative styling. It’s highly likely this house will be featured in Architectural Digest in a year or so. Byrd is finding it to be everything that he loves about homebuilding. In this instance, “green building” is going to be way over the top. Flooring, top to bottom will consist of warmboard technology, which runs water through the house to heat or cool, with geothermal energy driving the system. Detail work comes straight out of Greene & Greene architectural design, with metal and leather strapping, a cloud lift with beams crossing at artful angles, all cabinets pegged with end pieces, and even a “piano” edge at the bottom of the stairways. Throughout will be extremely large baseboards (the reclaimed walnut) with unusual basecaps—kind of a Byrd signature. Byrd estimates it will take about six months to complete the stairwell alone and two years for the entire house to be finished. Construction on the home is about six months along, and it’s all roughed in. The time intensive part will be all those details. But the details make Byrd happy. He’s childlike as he leads a tour of this remarkable project, pointing out a completely open kitchen, a pool space that will also be 100 percent geothermal, and unique front doors that will swivel on pivot points. Another William Byrd custom home under construction in North Forest Beach will resemble a ship. Not a boat, a ship. There’s a difference. To be precise, this house is designed following the lines of a mega-yacht, with lots of leathers and unusual curves. Projects Byrd has in the works employ an average of 150 workers. The company works with seven or eight architectural firms and has worked consistently with Bent Tree Woodworks, whose owners Byrd refers to by their first names, Mel and Jim, who can create anything architects can imagine. Byrd manages it all with help from his vice president, Chandler Brunson and a canine companion named Beau. It’s almost lyrical, the way he speaks of his craft, which makes sense considering his standard: piano perfect.In addition to the latest therapeutic and curative treatments, you’ll discover a variety of beauty treatments including bikini and brow waxing, luxurious pedicures, no-chip manicures and glamorous lash extensions. Many spas also have physicians and licensed technicians on hand to perform services such as facial fillers, injectables, laser treatments, chemical peels, microdermabrasion and other anti-aging treatments. For more information, contact William Byrd Custom Homebuilders at (843) 686-4166 or visit wbyrd.com. Regarding your recent article on William Byrd Custom HomeBuilders, an excellent traditional builder, I might ad, I would like to emphasize that “Green Building” need not be expensive. If one chooses to add wormy chestnut (@ $20. a bd’), then it certainly can be. The primary emphasis of green building is energy conservation followed by efficiency. A recent Georgia Tech study, funded by the Turner Foundation, found that by concentrating on restricting air leakage through the building envelope (the shell – a double air barrier with insulation between) and increasing window glazing quality, the decreased load requirements (HVAC) will require less capacity from the HVAC system making the efforts cost neutral. Many State building codes set standards for air leakage and glazing quality; South Carolina does not. What this means to the average homeowner is load requirements for a typical Beaufort County home may be three times that of a home built to ASTM and/or Energy Star standards ( say 6 tons vs 2 tons)… and the higher costs of useage continue for the life of the unit(s). Mr Byrd suggests there is no need to “certify” a building; I strongly disagree. How does one know how leaky the envelope and ducts are without testing? How can one determine interior ventilation requirements, when one doesn’t know the amount of ventilation present from air leakage? Being that those two components figure greatly in HVAC system sizing, without testing, you are only guessing. I’ll offer Mr Byrd a one-time complimentary blower door test on his “green” home to enable him to quantify the amount of envelope leakage. The primary emphasis of green building is energy conservation followed by efficiency. A recent Georgia Tech study, funded by the Turner Foundation, found that by concentrating on restricting air leakage through the building envelope (the shell – a double air barrier with insulation between) and increasing window glazing quality, the decreased load requirements (HVAC) will require less capacity from the HVAC system making the efforts cost neutral. Many State building codes set standards for air leakage and glazing quality; South Carolina does not. What this means to the average homeowner is load requirements for a typical Beaufort County home may be three times that of a home built to ASTM and/or Energy Star standards ( say 6 tons vs 2 tons)… and the higher costs of usage continue for the life of the unit(s). Is CH2 deleting my response ??? Regarding your recent article on William Byrd Custom HomeBuilders, an excellent traditional builder, I might add, I would like to emphasize that “Green Building” need not be expensive. If one chooses to add wormy chestnut (@ $20. a bd’), then it certainly can be.